Senior LIFE provides comprehensive medical care and support services for its members. But where does the family caregiver fit into the equation? The answer is pretty simple, actually. When a loved one enrolls as a member in Senior LIFE, family members or friends caring for them can be as involved or uninvolved as they wish. We know that those providing care often want to do as much for their loved one as possible. But we also know that caregiving can sometimes be time-consuming and overwhelming. That’s why we let caregivers determine their role. Read on for a look at how they can be involved with services provided through the LIFE Program. We partner with caregivers to provide quality care for their loved ones and much needed help, support, and peace of mind. Before we dive into a look at how you can play a role in your loved one’s care, let’s first take a look at Senior LIFE itself. Senior LIFE is a LIFE Program, a nursing home alternative that allows older adults to remain in the home as they age, while still receiving all the medically necessary services they need to remain independent. 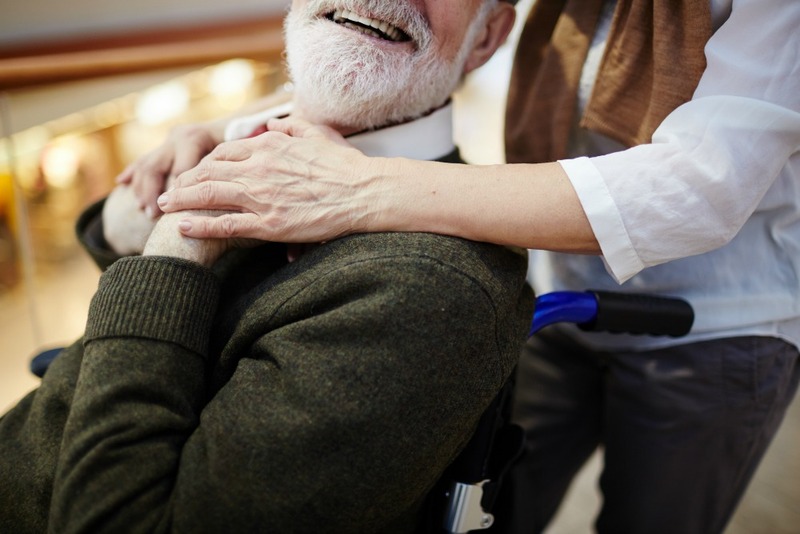 Once a member is enrolled, all medical and supportive services deemed necessary are received through the program, including medication management, therapy services, in-home care, and nutritional counseling, among other services. Prior to enrolling in Senior LIFE, members have a meeting with the healthcare team s to determine a care plan that’s individualized and meets their unique needs. That care plan doesn’t stay the same—it changes as a member’s needs do. Now that you have an understanding of Senior LIFE, let’s talk through what caregivers can expect. First, consider the care plan meeting we mentioned above. Caregivers are able to participate in those meetings and provide insight into the specialized needs of their loved ones. In fact, providing us with that information can help make sure your loved one receives all the care he or she needs—and we can point you toward additional community resources that may help. Beyond those initial meetings, caregivers may also attend their loved ones’ medical appointments, therapy appointments, and other associated medical visits. That said—attendance is not mandatory, and the Senior LIFE team can care for your loved one without you present. So, if you need a break, can’t get off work, or your loved one would rather have privacy at his or her appointment, that’s fine, too. In fact, we’ll even handle the transportation aspect of your loved one’s medical care. Door-through-door transportation is provided for members, meaning we’ll pick them up at their home and transport them to the Senior LIFE Center, even helping them make their way inside. So, the bottom line about the caregivers’ role with Senior LIFE? It is whatever you’d like it to be! One way of caring for the caregiver is to ask for help. Senior LIFE is here to provide medically necessary and support services designed to keep your loved one at home longer—and alleviate the stress on you as a caregiver. Find the location nearest to you.